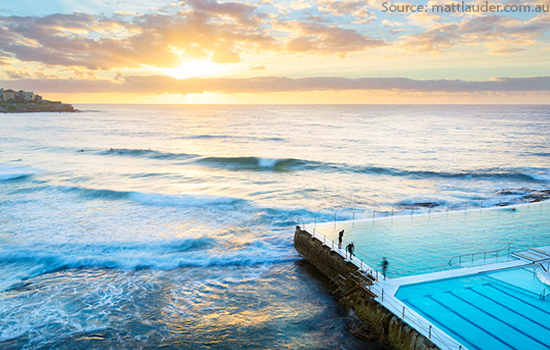 The first ocean pool in New South Wales was created in 1819 by convicts. It was all down to Commandant Morisset who decided he should have a private spot to swim. He ordered his prisoners into action and within months had his very own swimming area, Bogey Hole. Now, there are well over 100 ocean pools throughout the state. Luckily, most of those have more positive beginnings. 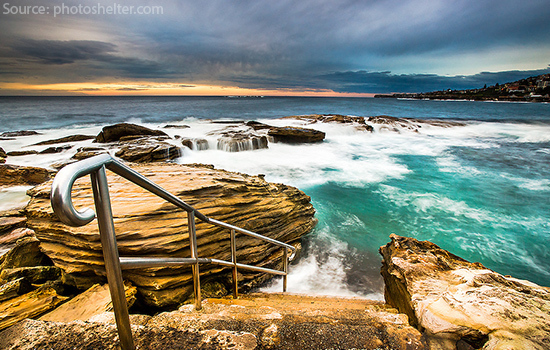 Sydney just happens to be the home of the most fun and dramatic ocean pools on offer. We’ve narrowed it down to just nine – it’s up to you which ones you decide to visit. Of course, if you’ve got the time you should definitely make a trip to see all nine. This isn’t something that tourists get the tip-off on, it’s a spot adored by locals. It’s just 20 minutes out of the city in Mosman, an upmarket suburb. Which means you might want to be dressed for the occasion. You can find exquisite outfits at Marks and Spencer at an affordable price It’s just north of the Harbour Bridge and surrounded by calm waters and bushland. This makes it the ideal spot for swimming and picnicking. There are also restaurants and cafes close by. This is one of the most photographed areas in Australia and it attracts a wide variety of people, from families to celebrities. It’s a local icon for a reason and it’s located at Bondi Beach’s southern end. If you grab a taxi from the city it takes around 20 minutes, 40 if you rely on public transport. This is a piece of Sydney history, being the oldest pool in Australia as well as the home of the country’s oldest swimmers club. The very first water polo game held in Australia happened right here and often, international games still happen in these very pools. You will find it nestled deep within the harbor and it even has a small adjacent beach for the kids. It’s only 10 minutes from the city, whether you grab a ferry or a bus. 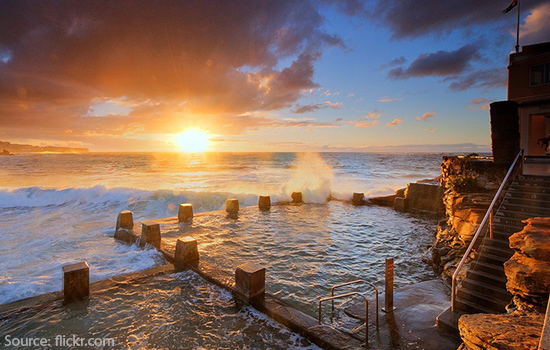 Bronte Beach’s baths were built way back in the 1880s and its fed by the ocean. It’s the south end of the beach, which is just a 20 minute from Bondi Beach. Much like Bondi Beach, you will find that Bronte has its own village, with restaurants, cafes, and more. So, once you’ve enjoyed a swim and a chill you can head for a relaxing bite to eat. The Bogey Hole Cafe serves both breakfast and lunch, it also features coffee from local roasters. This Coogee hotspot has been for children and women since the 20s. It’s completely hidden by the coastlines curve and set back from the road down a set of steps. It means you have total privacy to get your sunbathe on with incredible views of the ocean. Don’t forget to swing by Rivers for sunglasses and towels before you plan your trip. Located at Manly Beach this is a spot that lands on pretty much every tourist’s to-do list. This is a popular spot for locals and has been for almost a hundred years. The best part about this spot is that it’s great for families who are interested in a relaxing day of splashing about, but it’s also an excellent snorkeling spot. Just taking a short swim is sufficient to catch a glimpse at the coral, starfish, huge fish, and seadragons, too. Located in the Royal National Park, you will find these delicate ocean pools near Sydney’s Burning Palms Beach. It’s an hour or so drive from the city, heading south. It also just happens to be a total phenomenon on Instagram, all thanks to the stunning shape. If the tide is low you’re looking at the perfect swimming spot. Unfortunately, high tide makes the area unsafe. The park website offers directions for you to get there, but it’s around an hour walk. It might not be one of the world’s ancient wonders, but it’s definitely a wonder. Three miles south of Bondi you’ll find Coogee, which is where Giles Baths are located. It takes 45 minutes on the bus, but it’s worth it as you can spend an entire day checking out all of the ocean pools here. They are unmissable if you want to see a natural, calm, clear ocean pool. In Cremorne Point, you will find MacCallum Seawater Pool which brags some of the best views you will experience in the area. You can see the city, bridge, and even the opera house. Once upon a time, it was a rockpool. However, these days it’s enclosed and once a week it is filled with fresh saltwater. You’ll need to grab a ferry to Cremorne Point to check this spot out, you’ll find one at the Circular Quay near the bridge.